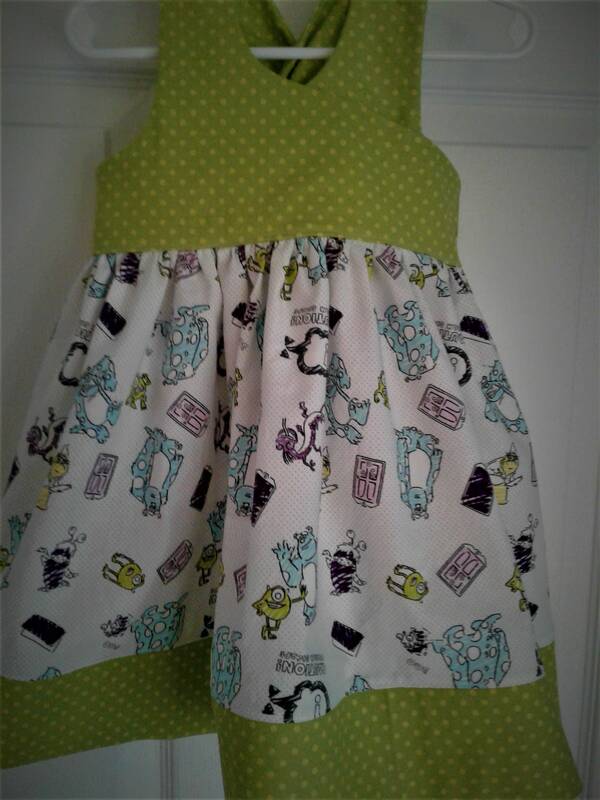 If you loved the Disney Monsters inc dress if for you. 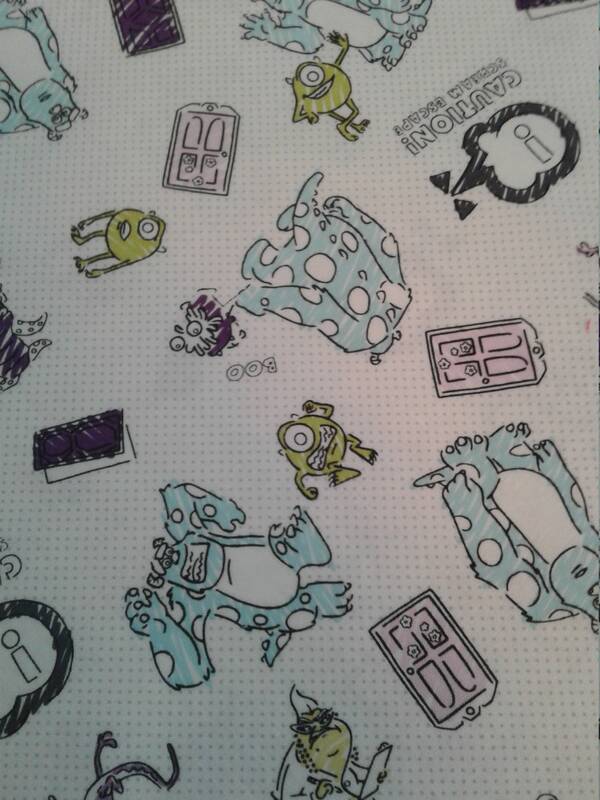 I used a green and white Monsters inc print fabric with mike and sully, this is 100% cotton fabric. 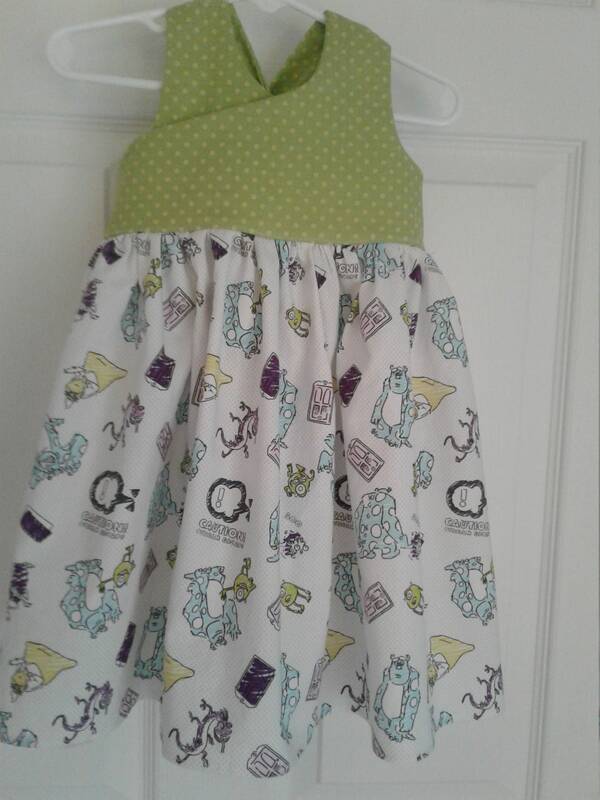 The Handcrafted dress is made in my Smoke Free sewing studio. 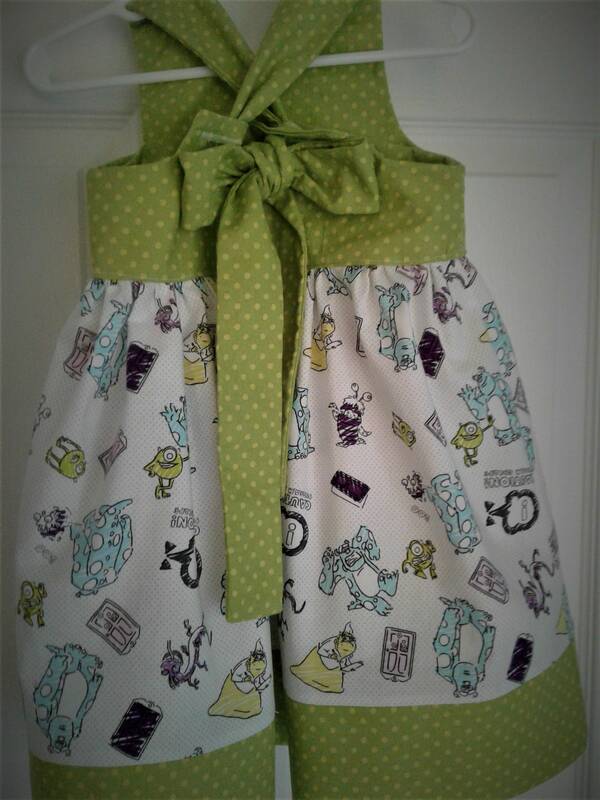 The front bodice appears to be a wrap style with ties that make a beautiful bow down the back. Skirt is gathered with a contrasting hem. All seams are french seamed for durability and professional look. 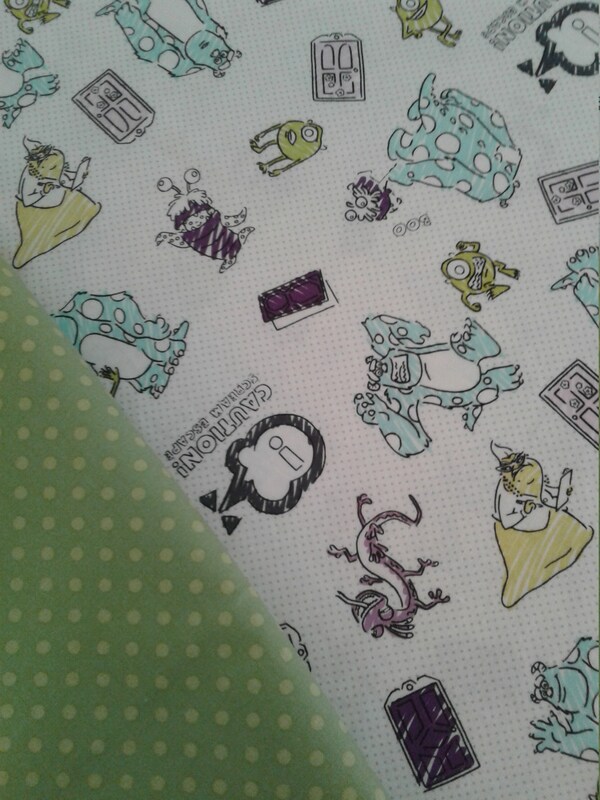 The fabrics have been machine washed and tumble dried before constructing garment.